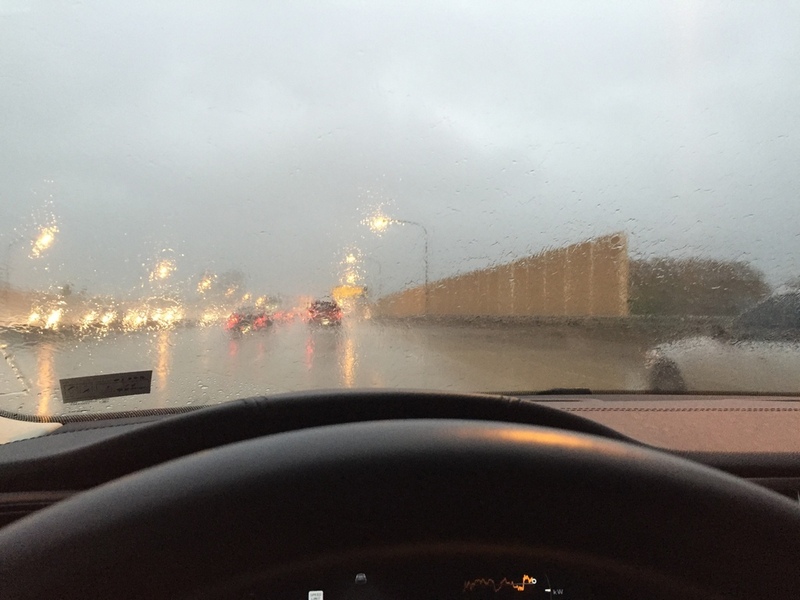 Autopilot makes a great traffic companion, even when heavy traffic is caused by a little rain. But what happens when a little rain turns into a lot of rain? Autopilot would rather you do the work. On a recent drive home, I noticed that the Autosteer feature of the Autopilot suite was not showing on the screen as an option on a stretch of highway where it is always available. 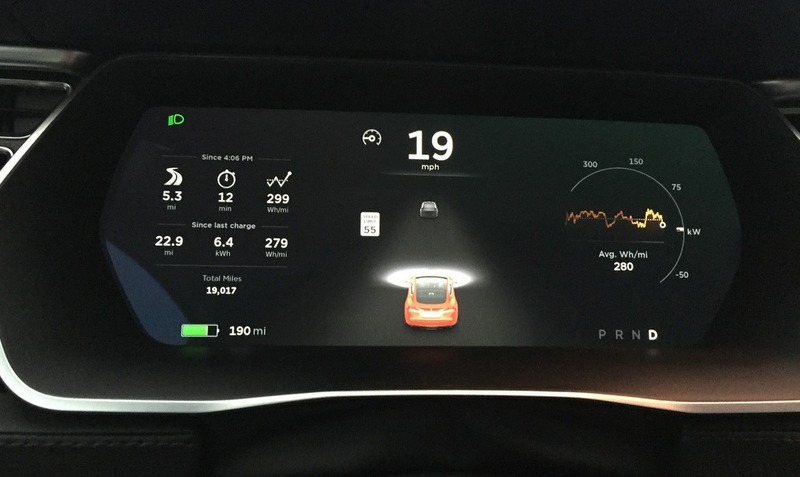 For background on the dash graphics for Autopilot, a small analog odometer symbol on the left of the car’s current speed shows you that traffic aware cruise control (“TACC”) is available to be used. A small steering wheel symbol to the right of the car’s current speed shows you that Autosteer is available for use. The screen will also illustrate that it sees lines by highlighting the path on the screen with solid lines on either side. As always, the driver must use judgement as to the appropriate times and places to call up this feature, even if it shows on the screen as available. For example, there is a wide and well paved two-way street in my neighborhood that has a middle and high school on one side and houses on the other. It also has well defined lines for a popular running/walking course with bike lanes. It is not a divided highway, contains stop signs and traffic lights, and is always crowded with people. It is not a candidate for Autosteer, but the symbol is often available on that street so again, judgement is required. Back to the highway. I noticed Autosteer was unavailable and immediately recognized the weather was to blame. It was raining. I would call it a moderate rain but with small, frequent rain drops. It was also approaching dusk. Between the lack of sunlight, the misty rain and the glare of car and street lights, visibility for my human eyes was quite poor. Visibility for the car’s “eyes” must have also been diminished and the car made the intelligent determination that it was not comfortable taking over the steering duties on this trip. Once I slowed even more and got to the part of my commute where traffic nearly stops, Autosteer became available. That despite the car presumably still not being able to see the lines – there were no solid lines along the path on my screen. Yet because I was now in dense traffic with cars all around me, Autopilot regained its confidence and was willing to take over. 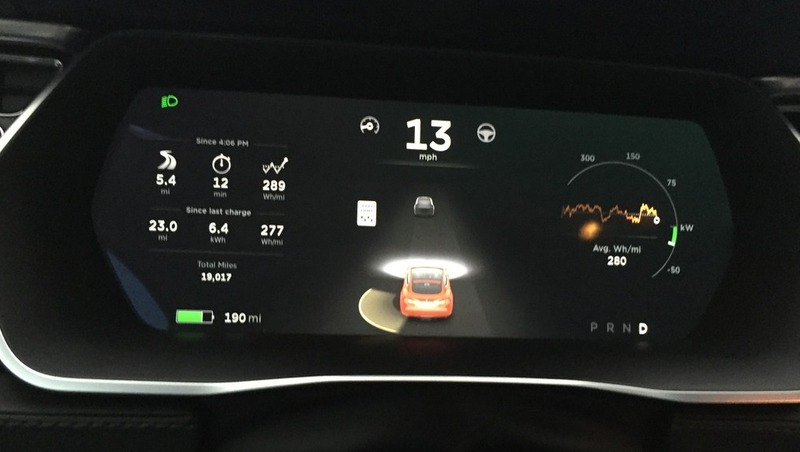 We’ve all been impressed by the technology involved with Autopilot but remembering how many layers of redundancy the hardware really has reaffirms just how impressive. And while I would not have been able to use the Autosteer feature had I wanted to, I’m just as happy knowing that the system is smart enough to know its limitations and has only one goal: to keep me safe.